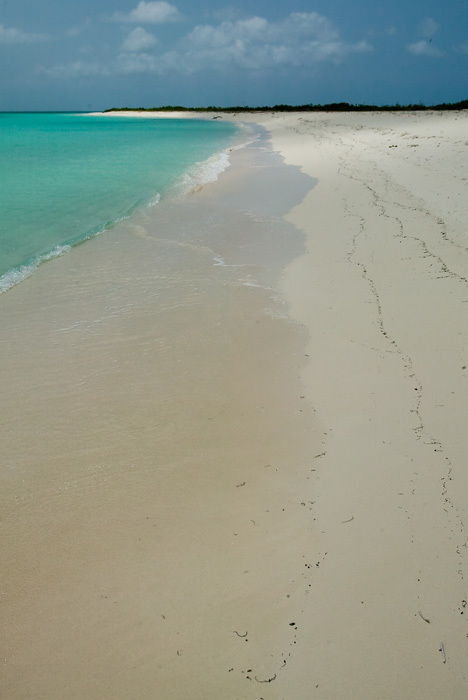 Anegada, an island 10 miles long by 2 1/2 miles wide with extensive salt ponds, reaches its highest point at 28 feet, hence its name which means the "drowned land." 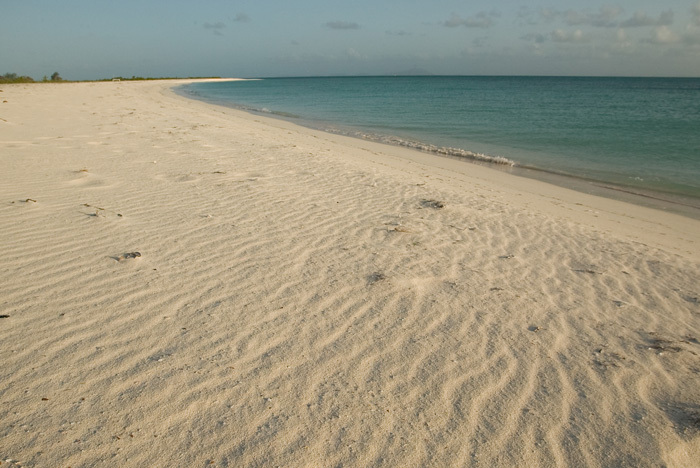 Of coral reef origins, Anegada has "extruded" sixteen miles of sandy beaches with a primeval quality. Anegada is "guarded" by the famous Horseshoe Reef which, at eighteen miles long, is one of the world's largest coral reefs. History. On the East End of Anegada, large piles of conch shells, some even forming islands, attest to the presence of aboriginal people. Later, pirates hid in the maze of reefs, with legends of pirate treasure. Check with your innkeeper or restaurant to see if they provide free transportation. If not, call Anegada Taxi (495-0228 VHF 16). Or rent a jeep or mini-van from D.W. Jeep Rentals (495-8018, 9677), who will also pick you up, and let you drop the jeep off, at the airport or anywhere else. ABC Car Rentals is at 495-9466. Also, the Anegada Reef Hotel (495-8002 VHF 16) has a shuttle bus service to the northern beaches for $6 per person and rents cars ($50/$60 day including gas). The Anegada habitat is perfect for a wide variety of shore birds, especially the elegant Roseate Flamingos, which have been restored to the island's massive salt ponds on the western half of the island. See The Return of the Flamingos. See an update here on Flamingo hatching.Feeding on microscopic aquatic creatures such as brime shrimp that contain carotene gives the flamingos their distinctive rosy tint. Once thousands inhabited the islands. However, the young could be easily rounded up and herded to boats for food. Anegeda "Harbour" at Setting Point. Once off-limits for boat charterers, Anegada has better markings now. The Anegada "harbour" is simply an opening in the coral reef in its southwestern side between the Anegada Reef Hotel at Setting Point and Pomato Point. Most establishments can be reached on VHF Channel 16. Arrivals by boat to the Anegada "harbour" often anchor off the Anegada Reef Hotel, as seen here from the hotel's self service honor bar. The shadowy figure at the right is evidenced only by a "very cold" beer. Developed by the late raconteur and local legend Lowell Wheatley (see In Memorium and A Tribute), and his gracious wife Sue, the Anegada Reef Hotel (email 495-8002 VHF 16) has 20 rooms and excellent food, including great English breakfasts, fresh fish, conch and the house specialty, barbecued lobster.